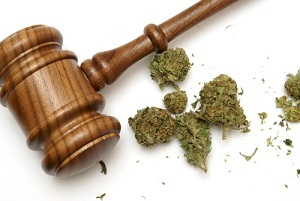 Plaintiff should have used marijuana? People get in car accidents and they get badly hurt. So insurance defense lawyers end up making some crazy arguments. But in Glesby v. MacMillian, a Maryland car accident case, the defendant reached a new height of insanity: arguing that the plaintiff should have used marijuana to mitigate her damages. Okay, enough of the stand-up act which I’m not great at anyway. The plaintiff files suit in the Supreme Court of British Columbia, which sounds fancy, but it is really just their trial court. It is a bench trial. Plaintiff claims continued discomfort in her neck, shoulder, and upper back after the crash. The Defendant argues that the Plaintiff’s injuries would not have been as bad if she had taken medical marijuana. Sadly, for the comedic value of it, this argument did not come out of thin air. Not one, but two of her treating doctors suggested medical marijuana which can be legally grown in British Columbia (until April 1st as it turns out). So the defense lawyers jumped on her failure to comply with her doctors recommendation of using medical marijuana. Wisely, the judge refused to find that the plaintiff failed to mitigate her damages by using medical marijuana. The judge pointed out the doctors’ advice came late in the game and that the Plaintiff, who had never used drugs, had a good faith reservation about the wisdom of acquiring and using the drug. I wrote this post because it is fun. Silly defense lawyer argues Plaintiff should have used drugs after her accident although admittedly the argument is slightly more nuanced. But the lesson I would take from this case is that defense lawyers will take insane positions in discovery. They don’t care how ridiculous the angle is. They just push forward with reckless abandon. Why do they take the risk? They figure they can walk it back in trial. How many times have you gone to trial excepting the lunatic that showed up at the Plaintiff’s deposition only to meet Ms. Smooth Agreeable Reasonable at trial? But how can you use the Ms. Stone Nuts Crazy Lady at trial? Here’s what you do. You file requests for admission getting them to admit the painfully obvious. Plaintiff was hurt. Maybe that the Defendant got hurt if he was also hospitalized. Ask the defendant to admit the facts in the statement she gave police. It does not matter. Defense counsel will almost invariably deny these in a Pavlovian way they could not stop if they tried. At trial, you read those requests to the jury. In closing, you tell them the problem. The defense of this case is that the sky is green. They will say anything and do anything to win and they don’t mind insulting your intelligence and trampling on this Plaintiff’s right to justice to win. It shows the defense for what it really is.